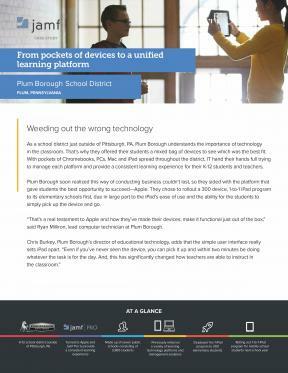 With a mixed bag of devices throughout the district—and a smattering of tools to manage each platform—Plum Borough School District waited to see which technology would rise to the top. It quickly became clear that the learning platform of choice for students, teachers and IT was Apple. But, there was no winner in the race for best Apple device management tool.